Bike rack - What product is the bike rack? I do not know the color. The owner painted. Steps - What are these steps? Can this epoxy be put on wooden steps? Floor - What is this floor? Concrete and Epoxy treatments open opportunities! #Mancave! 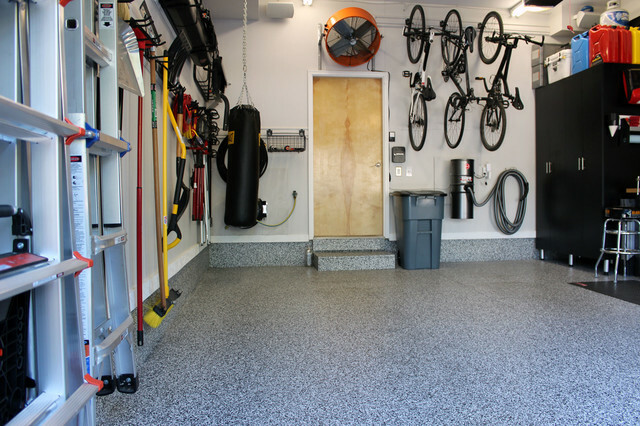 Love an epoxy floor in the garage. Definitely.